Placement: Students who receive a score of 5 on the AB Advanced Placement exam, or a score of 4 or 5 on the BC Advanced Placement exam may receive credit for MTH 110 and MTH 112 . Students who receive a score of 3 or 4 on the AB Advanced Placement exam, or a score of 3 on the BC Advanced Placement exam, or a 6 or 7 on the Higher Level Math IB (International Baccalaureate) exam may receive credit for MTH 110 . Students with a 4 or a 5 on the Advanced Placement Statistics exam can also earn credit for STA 104 . 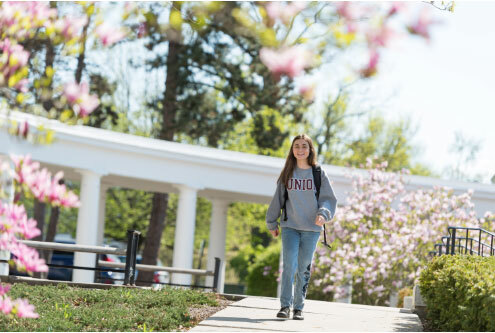 Calculus continues to be the most common way for both science and non-science majors to meet the Quantitative and Mathematical Reasoning requirement at Union. The following courses (MTH 051 through MTH 061 and STA 064 ) represent alternatives that also fulfill that requirement. These courses normally are not open to students who have passed calculus courses. Note that there also are courses in computer science and philosophy that can be used to fulfill the QMR requirement.